Between the two India-Pakistan wars, the 1965 and the 1971 Wars, the latter, a resounding victory, is more talked about since in contrast the 1965 War was widely seen as a draw. With the 1971 victory, India was seen to have partially exorcised the defeat in the 1962 India-China War. By then, the cadre of King’s Commission Indian Officers were replaced with professional, trained-in-India generals. The war put paid with a degree of finality to the ‘two nation’ theory. In the Simla Agreement that followed, Pakistan tacitly accepted the futility of the military option for wresting Kashmir by agreeing to bilateral talks for resolving outstanding disputes. India emerged as a regional power. The war set the stage for both states going nuclear, with Pakistan launching its nuclear weapons programme soon thereafter at Multan on 20 January 1972 and India’s ‘peaceful’ nuclear explosion taking place in 1974. 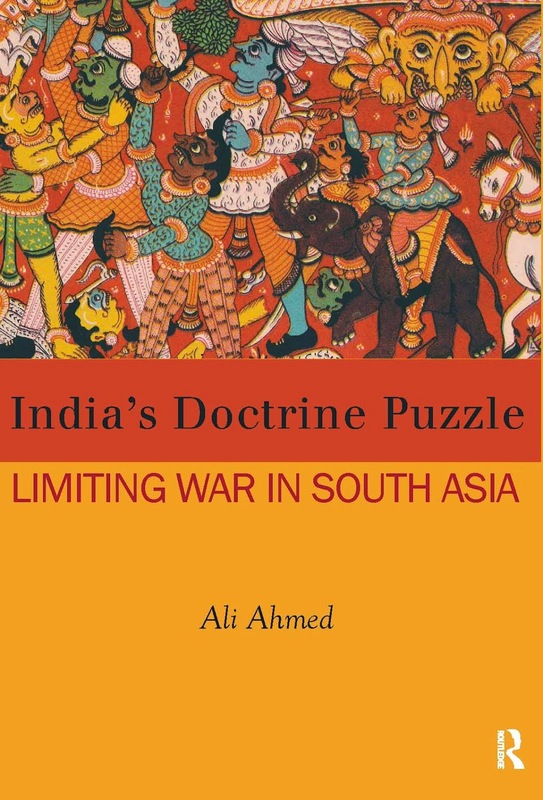 Understandably, the 1971 War model has had a relatively higher influence on how India’s conventional doctrine shaped up. Mechanisation of the army followed. The thrust was on how to employ the strike corps in strategic pincers and gain decisive outcomes, albeit in a counter offensive scenario. In one strategy option, Pakistan was to be cut into two at the midriff at the Indus at Rahim Yar Khan, a re-enactment of the race to Dacca. Despite some indications of the two states having acquired nuclear capabilities covertly by end of the eighties, this line of thinking persisted for another decade. Even overt nuclearisation in 1998 did not result in change of doctrine. The shock administered by the Kargil War the following year revealed India’s conventional options had been constricted by the advent of the nuclear factor. India acknowledged as much at a conference on 1 January 2000 at the Institute for Defence Studies and Analyses. Clearly, a full scale conventional war in the 1971 War model was passe. As result, its poor cousin, the 1965 War, attuned to Limited War, gained ground. The doctrinal turn was only being crystallised with the first corps exercise of the nuclear age, Exercise Purno Vijay of 1 Corps, when India was faced with a decision on conflict. Operation Parakram after the terror attack on India’s Parliament in December 2001 revealed the switch over to a 1965 War model of Limited War had not been completed doctrinally. As a result the military was unable to offer the political leadership the limited options giving confidence to chance the military option. For instance, the second ‘peak’ of the ‘twin peaks’ crisis of 2001-2 reportedly found all three of India’s strike corps poised in the desert but with no plausible objectives worth running the new nuclear dangers. Consequently, India settled for calling its largest ever military mobilisation as an exercise in coercive diplomacy. The soul searching that followed resulted in the doctrine colloquially called the Cold Start Doctrine in October 2004. By 2008, while the doctrine was in place and so arguably was the training and psychological reorientation to the offensive turn of the doctrine, the Mumbai 26/11 terror attack revealed gaps, particularly in terms of equipment. Faced with constructive criticism on the release of its doctrine in the open domain, the Army at one juncture even distanced itself from ‘Cold Start Doctrine’. Eventually, while acknowledging that it had cut its readiness timings to but a few days, it released internally a revised doctrine in 2010. Since the revised version is confidential, unlike its predecessor, it is unknown as to which of the two doctrinal models – the 1971 War model seeking decisive outcomes or the 1965 War model with its Limited War bias – informs the current doctrine. A closer look at the 2004 avatar of doctrine however suggests that the 1965 War model has had a more influence on thinking than is obvious. A ready pointer is that the concept of large number of ‘wide front - shallow depth’ offensives simultaneously propounded in Cold Start doctrine is reminiscent of the race to the Ichhogil that occurred across the Punjab Front straight from cantonments in early September 1965. Cold Start apparently gets its name from formations racing for the border in a near repeat of 1965 War. Also, shallow depth operations cognisant of prospective nuclear thresholds also hark back to 1965 when India planned to threaten rather than capture vital objectives for a viable peace to emerge at the end of the war. Then, with Pakistan’s military taught a lesson, a negotiated peace was thought possible. In the nuclear age military force can only have similar utility in at best sensitising the enemy to abandon the military course in favour of the political. Decisive victory being potentially unaffordable in the nuclear age, India, as the stronger power, must be wary of a strategic temptation to prevail militarily. How to gain one’s political ends militarily without tripping on the nuclear tripwire is a key doctrinal question. Mining the 1965 War for nuggets of wisdom on this may be worthwhile. Towards this end, this article concentrates largely at the political level. On this count, the fiftieth anniversary of the war is timely. The largely non-controversial official history of the war, endorsed in early nineties, remains under wraps due to official secrecy. Quite like its more famous counterpart, the Henderson Brooks Report on the 1962 conflict, it can be found on a non-governmental website. To begin at the beginning, in the popular narrative the Rann of Kutch episode of spring 1965 is taken as a strategic diversion on Pakistan’s part in a wider plan to wrest Kashmir. However, the official history has it that it arose from local actions in which Pakistan deployed its Pattons. Feeling empowered from the ensuing patrol level actions, Pakistan’s Army was goaded by the ‘megalomaniac politician(s)’, Zulfiqar Ali Bhutto, into attempting to wrest Kashmir militarily. The timing was just right. India was in the midst of arming itself after its 1962 debacle, having started off on the first defence five year plan just the year before, intending to create a million-man army by its end. It had also announced an intention to integrate Kashmir into its constitutional framework by normalising its special relationship. Therefore, Pakistan, espied a closing window of opportunity, both militarily and politically. Since it’s joining the Western Bloc in 1954, Pakistan had received $650 million in military grants, $619 mil­lion in defence support assistance, and $55 million in other assistance The aid modernised Pakistani defence capabil­ity, catering for its training, firepower, mobility and improving command, control and communication facilities. Nevertheless, the cultural changes necessary to use the technologically superior weaponry, such as Patton tanks, did not keep pace. Archaic notions of martial superiority continued. Geopolitically, the warming up with China since that country’s 1962 attack on India buttressed by the ceding of Shaksgam Valley in 1963, presented India with a two-front problem that Pakistan could exploit. At the turn of 1963-64, Kashmir had witnessed unrest over the missing holy relic, the Moe-e-Muqaddas. Unrest following Sheikh Abdullah’s third incarceration in May 1965 (following his trips to jail in 1953 and 1958) led Pakistan to believe that the time was ripe for stepping up its violations along the Ceasefire Line (CFL) in Jammu and Kashmir (J&K). Violations between January and May numbered 1347. There was a flare-up in Kargil in May 1965 in which India was forced to capture locations occupied at the retreat of winter by Pakistani troops and also some across the CFL. India withdrew from across the CFL prior to the War at the behest of the UN on the promise of the UN Observer Group keeping a more watchful eye. This muscle flexing was to divert Indian attention and stretch India militarily since there was a limitation in the number of troops India could maintain in J&K as per the CFL deal under UN oversight. Ayub Khan launched Operation Gibraltar in early August, based on the flawed advice of Bhutto that India would not react militarily across the International Border (IB). Pakistan’s infiltration comprised eight to ten forces of Pakistani regular officers and Pakistan Occupied Kashmir (POK) units. On 5 August, Gujjar shepherd Din Mohammad, espying the columns, alerted the army. India’s counter-infiltration moves involved creation of a ‘Sri Force’ for the hinterland enabling XV Corps to exclusively concentrate on proactively interdicting the launch pads by offensives in the Haji Pir Bulge and in the Kishenganga Valley. India captured Haji Pir Pass on 25 August 1965 and attempted to link up from Poonch side to wrap up the Haji Pir bulge. This prompted Pakistan to snap off the Rajouri-Poonch sector by launching its Operation Grand Slam into Akhnoor on 1 October. Often an expansive aim is attributed to Grand Slam, to threaten India’s lifeline to Srinagar via Jammu. This would have only been the case had Pakistan got as deep as Akhnoor in first place. Doing so would have triggered a wider Indian response, one that a more modest operation may have escaped. While Pakistan wanted Kashmir it was not at the cost of a wider war. Therefore, a more modest aim for the operation can be reckoned, which was to influence the adverse situation developing for it on the Poonch-Uri front in order to keep its infiltration going. At best it could have had been an ‘aim plus’ of Pakistan’s 1 Corps in case India had chosen to restrict the fighting to J&K. In the event, the Indian Air Force (IAF) joined the fray in the late evening to check the attack on Chhamb, albeit at some cost to itself and friendly forces. The Defence Minister simultaneously approved army preparations for opening up the Punjab front, as per a plan approved on 9 August. Later that evening, the Emergency Committee of the Cabinet that is precursor to today’s Cabinet Committee on Security, approved his initiatives. On 6 September, the Indian attack was launched across the IB. This considerably eased the situation in Chhamb-Akhoor sector, as inter-alia it was intended to, although the situation there had stabilised. An inexplicable pause on the Pakistani side in which General Yahya Khan took over command of the operation mid-way had resulted in it fizzling out. Yahya Khan later rationalised this as a deliberate so as not to provoke and to de-escalate. But it was too late for Pakistan. (1) To defend against Pakistan’s attempts to grab Kashmir by force and to make it abundantly clear that Pakistan would never be allowed to wrest Kashmir from India; (2) To destroy the offensive power of Pakistani armed forces; (and) (3) To occupy only the minimum Pakistani territory to achieve these purposes which would be vacated after the satisfactory conclusion of the war. Limited offensives were envisaged along the Punjab front into Lahore sector and from the Samba-Jammu line into Sialkot sector, while some diversionary actions were mounted in the desert sector. Indian forces were well prepared, having trained during Operation Ablaze, the alert status during the Kutch episode. They had returned to barracks only in July 1965 after the ceasefire in Kutch on 1 July. On 6 September, the three divisions of XI Corps kicked off across its frontage in the Lahore sector. The offensive commenced with troops moving directly from cantonments into action without staging in concentration areas. The kickoff by 15 Infantry Division caught Pakistan by surprise, and in its very success, the division also surprised itself. The 3rd Battalion of the Jat Regiment (3 JAT) went across the Ichhogil Canal; but unsupported and under air attack, it was ordered back. Further North, the bridge captured across the Ravi in Dera Baba Nanak sector was lost to Pakistani troops equally quick to react. To the south, 7 Infantry Division engaged in a series of tactical battles of attrition to gain the eastern bank of the canal. Further southwards, 4 Infantry Division lost its initial gains in a surprise strike by Pakistan’s 1 Armoured Division into Khem Karan. The battle that ensued caused some consternation in upper echelons of the chain of command, resulting in controversy over whether the Army Chief ordered his Western Army Commander to fall back to the Beas in face of the attack. In the event, at the fortuitously named village, Asal Uttar, 4 Infantry Division beat back the disorganised Pakistani attack regaining its reputation from World War II that had suffered from its performance in the 1962 War. On receiving the ‘go ahead’, India’s 1 Armoured Division moved Northwards from its interim area near Jullundur (now Jalandhar) to position itself for attack into Sialkot salient as part of 1 Corps. Delayed readiness of 1 Corps led to its attack getting delayed by two days after the offensive had started further south. 1 Corps freshly formed only in May, made gains till Phillaura, but a ‘slogging match’ ensued thereafter at Chawinda. The battles further south of Sutlej, though under logistic constraints forced by the desert terrain in Barmer and at Gadra Road, did result in some territorial gains. The Air Force put up a credible showing, despite Pakistan having a technological edge; while the Navy’s hands were tied down by the defence minister wanting to limit the scope of the war. Likewise, the eastern front against East Pakistan was kept dormant, lest action there provoke the Chinese into following through with their threats made in the course of the war. An assessment of the Indian showing requires examining the achievement of Indian aims against their achievement and contrasting these with Pakistan’s. The return to status quo brought about by the peace treaty at Tashkent in January 1966 implied that the Pakistani war aim of wresting Kashmir failed. However, Pakistan did manage to put it back on the agenda of the international community. Militarily, as part of the war in Kashmir, Pakistan was not able to execute its offensive for the capture of Akhnoor. Nor could it pull off its outflanking move to defeat Indian forces west of River Beas at Khem Karan. Nevertheless, it held on in the battles of attrition, though with proportionately higher losses in tanks and territory. Its technologically superior aircraft took their toll. Clearly, the window that had opened up with the Chinese attack in 1962 had slammed shut too soon for Pakistan. But, Pakistan could take home the sentiment that it had put paid to any notion in India that Pakistan could be undone. This was never an Indian aim, but its own apprehension that it could now dispel. To begin with we are not a war minded nation; and I think I am proud for it. Yet there comes a moment in a nation’s life when it has to stand up against a bully and teach him a good lesson. That is what we are out to do. We are not thinking in terms of a fight between a Hindu nation and a Muslim nation. We want a peaceful neighbour. And a neighbour who thinks he can get away with all his aggressive activities easily will never be peaceful. He needs to be told effectively in action that this will not do. The expansion of the war to the rest of the western front, while useful for forestalling any potentially adverse situation in J&K, was instead to serve the political purpose of telling Pakistan that aggression just ‘will not do’. It demonstrated that since Kashmir was an integral part of India, India would, unlike in 1947, defend it in any manner it chose. Even so, in administering this lesson, India took care to keep the war limited. The defensive aims of the war were an outflow of the development-centric grand strategy. The war’s onset was graduated. Hardly had the Kutch episode been settled, the center of gravity shifted to J&K. Infiltration by Pakistan led to India snapping off the infiltration routes across the CFL, in turn prompting Pakistan to put pressure on India’s supply lines in J&K. This led to India in a planned move expanding the war from J&K for the first time to include the rest of the international border (IB) sector. While there was a degree of planned escalation on both sides, escalation could conceivably also have resulted from other causes. For instance, had India got across Ichhogil in strength or Pakistan broken through from Khem Karan, both states would have respectively posed grave dilemmas for the other. The Chaudhuri-Harbaksh Singh exchange on whether to withdraw to the Beas line suggests that this is not an imaginary scenario. This puts a premium on the role of the political leadership in escalation management by keeping sight of war aims. In the event, Prime Minister Shastri accepted the ceasefire in accordance with military advice. He had stalled for time in mid-September when UN Secretary General U Thant had paid a visit to the region to get a ceasefire organized. This was to give the military more time to achieve the objectives delivering political aims. Post-war it has been reckoned that had India fought on for longer, Pakistan that was at the end of its tether, particularly in terms of artillery ammunition, would have folded up. The story goes that, instead, Gen Chaudhuri advised acceptance of the ceasefire prematurely under the mistaken belief that India was on the verge of exhausting its own artillery ammunition. However, the manner India was slogging on in all sectors indicates that attrition would have been all it could have achieved and at some cost to itself. Besides, India, with good reason, did not have rubbing Pakistan’s nose into the dust as a political aim. Firstly, India lacked the military capability; secondly, it could have prompted uncertain Chinese action; and lastly, Pakistan was not exactly friendless politically. Therefore, sensing when to stop is a vital political level responsibility that the Prime Minister Shastri discharged with moral courage. In the event, the statesmanship exacted a great personal cost: his life under the pressure of compromise. Military action at best sets the stage for political resolution from a position of advantage. It cannot serve as a substitute for political agreements politically arrived at. By this yardstick, the Tashkent Agreement of 10 January 1966 was politically sensible in that it preserved the status quo in Kashmir in India’s favour, even if it could not resolve the issue. The return to status quo ante was an investment in Pakistani good sense, incentivising it to reconcile to the status quo in Kashmir. That the status quo in Kashmir held for about two decades indicates that Shastri delivered credibly at Tashkent. There is no guarantee that the converse - a decisive Pakistani defeat - would have led it to abandon its claims. In fact, even inflicting the 1971 War defeat on Pakistan was not able to achieve that. It can be plausibly argued that on the contrary, the defeat in 1971 increased Pakistani desire to avenge itself in Kashmir. What has been missing and continues sub-optimally is inter-services coordination. While the highpoint of the 1965 interaction was in Arjan Singh conferring with Chaudhuri on air support in the Chhamb sector, the low water mark was in the Navy facing embarrassment at Dwarka. At Kargil, the story was different when General Malik asked Air Chief Tipnis for air support. Recent reports of the government contemplating appointing a military chief, even if fifty years late, are nevertheless heartening. Fifty years on, India and Pakistan remain at odds over J&K. In Pakistan, the military’s control of strategic affairs continues and India’s two-front problem remains. While the US is no longer behind Pakistan as then, Pakistan has compensated by leaning on China. Pakistan has gained an ability to wage proxy war that it lacked in both 1947 and 1965. Kashmiris were not enticed earlier, but by the nineties they allowed their militancy to be hijacked by Pakistani proxies. India for its part has acquired both the tools and the will to counter the proxy war, both at the subconventional and conventional levels. Finally, India is on the ascendant while Pakistan is perpetually on the cusp of being a failed state. However, decidedly the greatest game changer has been the acquisition of the great equalizer - nuclear weapons - by both states. The last cannot but condition all strategic analysis hereon. A major implication of nuclearisation is how potential conflict triggers should be viewed. That the two states have accepted the need to work out mutually and peaceably a solution to outstanding issues is explicated in the Simla (now Shimla) Agreement. The understanding was that that Bhutto would tame the Pakistan military and convert the LC into the border. That this was not borne out by subsequent events suggests that waiting for a turn in civil-military relations in Pakistan is to wait indefinitely. 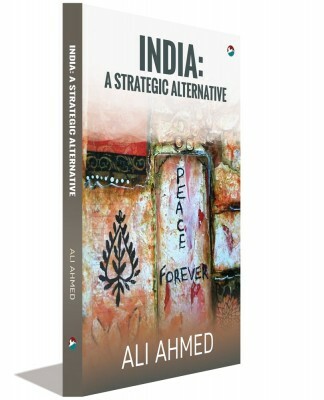 For the interim, India is left with two strategies. The first, tried out partially by India, involves the negotiation process. Both the National Democratic Alliance (NDA) and United Progressive Alliance (UPA) governments in their respective first innings took this up seriously. Pakistan proved largely responsive, best evidenced by the NDA initiative of interfacing with Musharraf being taken just short of its logical conclusion by the UPA government. Thereafter, Pakistan’s pointing a gun either at India, as at Mumbai 26/11 or at its own head, has not helped matters. This has left India with the second strategy option, currently at play. This is one of strategic dexterity involving diplomacy, intelligence and military instruments. India is upping the military ante by increasing military asymmetry with Pakistan. Economic and political opening up are incentives held in reserve in case Pakistan does get the message. However, while this can sustain a favourable status quo; the moot question is can it do so indefinitely till civil-military relations reform in Pakistan? As seen in the 1965 War, war clouds can advance as inexorably as the monsoons. Escalation can also occur within war: note the connections between India’s counter infiltration operations leading to Pakistani attack in Chhamb and in turn leading to India releasing the pressure on J&K by opening up the Punjab front. The escalation in war aims from gaining territory in East Pakistan to racing for Dacca in the 1971 War further indicates that escalation is intrinsic to war. The current common place escalation scenario is in a terror incident sparking Indian conventional reaction, leading up to Pakistani firing off a tactical nuclear missile in fear or panic. Central to the critique of Cold Start is such potential escalation in light of uncertain nuclear thresholds. Generating asymmetries in quick time may unsettle a nuclear armed enemy enough to have him contemplate a nuclear bail out under conditions of perceived existential danger clouding such judgment. On this count, exploiting operational success with a manoeuvrist approach – as the offensive turn to Indian military doctrine dictates - may be useful for pedagogic reasons on a sand model but not so in a nuclear environment. On the contrary, an attritionist approach as seen in the 1965 War is slower paced and deliberate. This enables saliencies built in for exit strategies and conflict termination to kick in and gives diplomats time to do their thing. The attritionist approach lends itself to both the limited war under a nuclear overhang. A Monty-like general trumps a Rommel in a nuclear battlefield. Strategic rationality suggests options of limited offensives not involving full-throated mobilisation and also possibly limited nuclear retaliatory options. At the political level, statesmanship is in the ability to gauge advancing war clouds and as necessary disperse or seed them in light of grand strategy. In case of conflict, escalation avoidance in first place and escalation control and de-escalation in second, require continuing political sensitivity to grand strategy for a firm hold over the strategic and military levels of war. 1965 War provides right precedence in the role Shastri played as war leader. It can be argued that this is part of an unacknowledged Indian tradition. In end 1948, Nehru stopped at the ethno-linguistic frontier in order to enable Pakistan to reconcile itself to a piece of the cake. In 1971 Indira Gandhi provided firm leadership, even countenancing escalation in the east while forgoing it in the west. At Kargil, Vajpayee laid down that the LC will not be crossed. 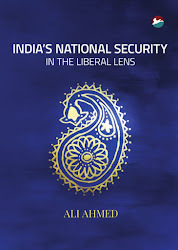 With the national security institutions India now has in place – with the strong Prime Minister’s Office dating to Shastri’s time in office - this facet of Indian approach to war – simultaneous restraint and resolve - has strengthened. Retrospective criticism has it that in all cases, India was not able to win the peace decisively. This does not necessarily imply infirmity in war aims or perceived shortfalls in their achievement as goes the corollary in such analyses. How to win the peace perhaps requires both greater theoretical attention and grand strategic application. The strategic level aims to deliver favourable war termination conditions from a position of advantage. War termination cannot always wait till a situation of advantage is reached, since the closer the military gets to this stage, nuclear dangers multiply. Consequently, the political level must be able to sense when to de-escalate and signal willingness for conflict termination. It must have the moral courage and political capital to impose its will on its strategic instruments even if at a political cost. Here again there is precedence, for instance, Prime Minister Manmohan Singh reportedly contemplating and stepping away from a military counter to 26/11. This contradicts the interpretation of political will as solely the willingness to use military force. Instead, for a nuclear power, withholding from using military power must be considered as an equally pertinent exercise of political will. The difference of the nuclear age is that it is not the amount of pain inflicted on the enemy and sustained by one’s own society that counts but also the amount of pain and damage avoided. Vijay Diwas commemorates the victory in 1971. In the nuclear era, ‘victory’ is debatable as a political aim in war and it may not be militarily feasible either since nobody ‘wins’ a war gone nuclear. Therefore, settling for a ‘draw’, as in 1965, may well be the saner choice. It allows face-saving for both sides and helps set the stage for the inevitable ‘give and take’ of peace talks. India has shown strategic rationality in all its wars. Pakistan has proven a strategic actor too. Take 1965. It did not press home its attack in the Jammu sector. In 1971, Yahya Khan called off troops poised for counter offensive. At Kargil, it chose a relatively insignificant stretch along the LC for its probes. Since it requires two to keep a war limited, Pakistan can prove a responsive partner at war avoidance and limitation, simply because owing to force asymmetry it stands to lose more both in absolute and relative terms. The medium of doctrinal exchanges envisaged in the Lahore Memorandum of Understanding is an available start point. This cannot await resumption of negotiation processes. Even so, all the four wars so far, with the last one fought early in the nuclear age, have shown that neither state has achieved its political aims. Pakistan has not been able to wrest Kashmir nor has India been able to convince it to do so. The nuclear factor makes redundant resort to a full spectrum war as an option for either aim. Negotiations being the only route eventually, it is only a question of when: at the end of a potentially nuclear war or in pre-empting it well prior? Precedence in the form of Tashkent exists of India’s readiness for accommodation on the negotiation table. It should not take a war to get Pakistan to the table. International Institute for Strategic Studies (IISS), Nuclear Blackmarkets: A Net Assessment, London: IISS, 2007, p. 15. Baweja, Harinder, ‘Readying for nukes’, India Today, 28 May 2001, available at http://indiatoday.intoday.in/story/for-the-first-time-after-india-became-a-nuclear-power-army-stages-a-nuclear-war-game/1/233562.html, accessed on 7 May 2015. Ladwig, W., ‘A Cold Start for Hot Wars? The Indian Army's New Limited War Doctrine’ International Security, Vol. 32, No. 3 (Winter, 2007/2008), pp. 158-190, pp. 164-66. Army Training Command (ARTRAC), Indian Army Doctrine, Shimla: ARTRAC, 2004, available at ids.nic.in/Indian%20Army%20Doctrine/indianarmydoctrine_1.doc, accessed on 23 February 2015. Joshi, M., ‘Was the Indian Army ready for war?’ Mail Today, 17 January 2009, available at http://mjoshi.blogspot.com/2009/01/was-indian-army-ready-for-war.html, accessed on 15 February 2015. Pubby, M., ‘No Cold Start doctrine, India tells US’, Indian Express, 9 September 2010, available at http://archive.indianexpress.com/news/no--cold-start--doctrine-india-tells-us/679273/, accessed on 10 January 2015. Shukla, A., ‘The day nothing happened’, Business Standard, 1 September 2014, available at http://www.business-standard.com/article/opinion/ajai-shukla-the-day-nothing-happened-114090101482_1.html, accessed on 20 February 2015. Chakravarty, B.C., History of the Indo-Pak War, 1965, Government of India: Ministry of Defence, Available at http://www.bharat-rakshak.com/LAND-FORCES/Army/History/1962War/PDF/, accessed on 20 February 2015. Sinha, P.B. and A. Athale, History of the Conflict with China, 1962, Available at http://www.bharat-rakshak.com/ARMY/History/1965War/PDF/, accessed on 1 February 2015. The Henderson Brooks Report is at http://www.indiandefencereview.com/wp-content/uploads/2014/03/TopSecretdocuments2.pdf, accessed on 15 February 2015. History of the Indo-Pak War, 1965, pp. 37-38. Pakistan Army, ‘War History’, available at https://www.pakistanarmy.gov.pk/AWPReview/TextContent.aspx?pId=47&rnd=443, accessed on 2 February 2015. History of the Indo-Pak War, 1965, pp. 55-66. Pradhan, R.D., Debacle to Revival: Y.B. Chavan as Defence Minister, 1962-65, New Delhi: Orient Blackswan, p. 239. Pradhan, R.D., 1965 War: The Inside Story, New Delhi: Atlantic, p. xvii. Pakistan Army, ‘A journey from scratch to nuclear power’, available at https://www.pakistanarmy.gov.pk/AWPReview/TextContent.aspx?pId=18&rnd=157, accessed on 14 January 2015. Curiously the official history dates this episode to 27 December 1964 to 4 January 1965 (History of the Indo-Pak War, 1965, pp. 45-46). History of the Indo-Pak War, 1965, p. 48. A similar story repeated itself at the onset of the Kargil War in which local shepherds in Kargil spotted Pakistani intrusions on 3 May 1999. Likewise, for counter insurgency operations in the Valley, India sent in the Rashtriya Rifles HQs from Delhi to Srinagar in 1999, so that the LC formations could concentrate on counter infiltration and conventional operations. 1965 War: The Inside Story, p. 12, and History of the Indo-Pak War, 1965, p. 112. History of the Indo-Pak War, 1965, p. 140. 1965 War: The Inside Story, p. 3. History of the Indo-Pak War, 1965, p. 118. The chapter on the operations of XI Corps in the Lahore sector is titled ‘All Out War’ in History of the Indo-Pak War, 1965, p. 140. Debacle to Revival, p. 262. This constituted the ‘higher direction of war’ and a laying down of war aims. This was an advance from what occurred in 1962 and indeed according to General Padhmanabhan yet again in 1999. History of the Indo-Pak War, 1965, p. 142. Hayde, D., The Battle of Dograi, New Delhi: Vanity Books, 1984, pp. 49-52.
http://www.indiandefencereview.com/1965-general-Chaudhuri-did-not-order-withdrawal-of-western-army-behind-river-beas/ accessed on 14 February 2015. 1965 War: The Inside Story, p. 118. 1965 War: The Inside Story, p. 15. Debacle to Revival, p. 286. History of the Indo-Pak War, 1965, p. 33. Press Trust of India (PTI), ‘Army was reluctant to tell govt about Kargil: Tipnis’, Times of India, 7 October 2006, available at http://timesofindia.indiatimes.com/india/Army-was-reluctant-to-tell-govt-about-Kargil-Tipnis/articleshow/2116089.cms, accessed on 1 January 2015. IANS, ‘India to have a chief of defence staff: Minister’, Business Standard, 16 February 2015, available at http://www.business-standard.com/article/news-ians/india-to-have-chief-of-defence-staff-minister-115021601868_1.html, accessed on 20 February 2015.
http://www.thehindu.com/news/national/india-pakistan-had-a-solution-for-kashmir-in-2001-kasuri/article6805890.ece, accessed on 12 February 2015. Musharraf, P., In the Line of Fire, New York, Simon and Shuster, 2006, pp. 54-55. The MOU states: ‘shall take immediate steps for reducing the risk of accidental or unauthorised use of nuclear weapons and discuss concepts and doctrines with a view to elaborating measures for confidence building in the nuclear and conventional fields, aimed at prevention of conflict.’ Available at http://www.usip.org/sites/default/files/file/resources/collections/peace_agreements/ip_lahore19990221.pdf, accessed on 1 January 2015.